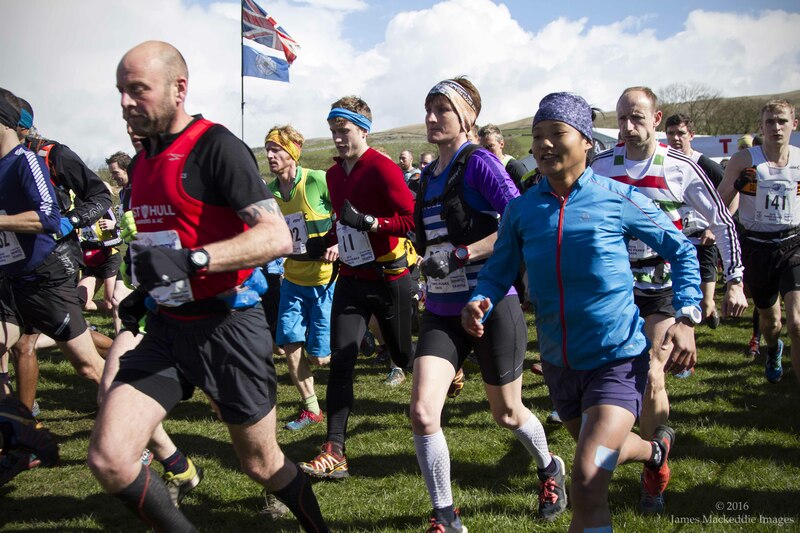 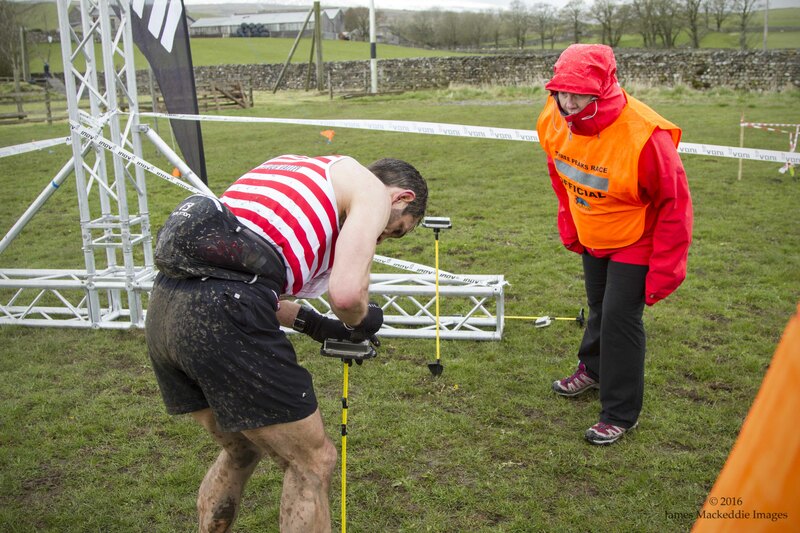 The 2016 3 Peaks Race, in its 62nd year, was set to be a challenging race. 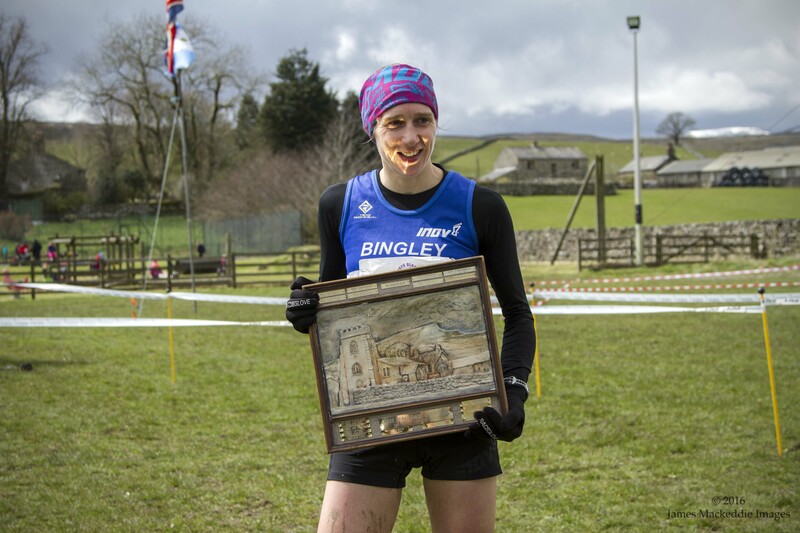 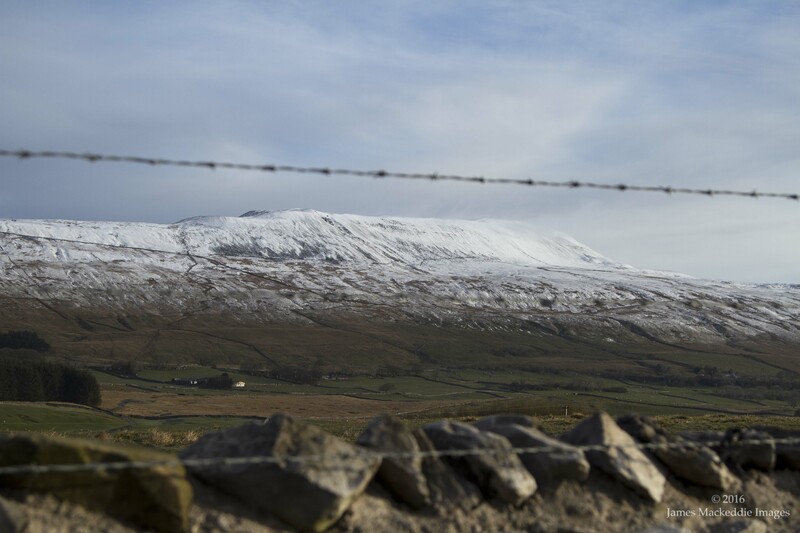 From Ricky Lightfoot returning in a bid to secure a third sucessive win, to the weather dropping a white sheet over the 3 towering peaks surrounding Horton in Ribblesdale, anything could happen. 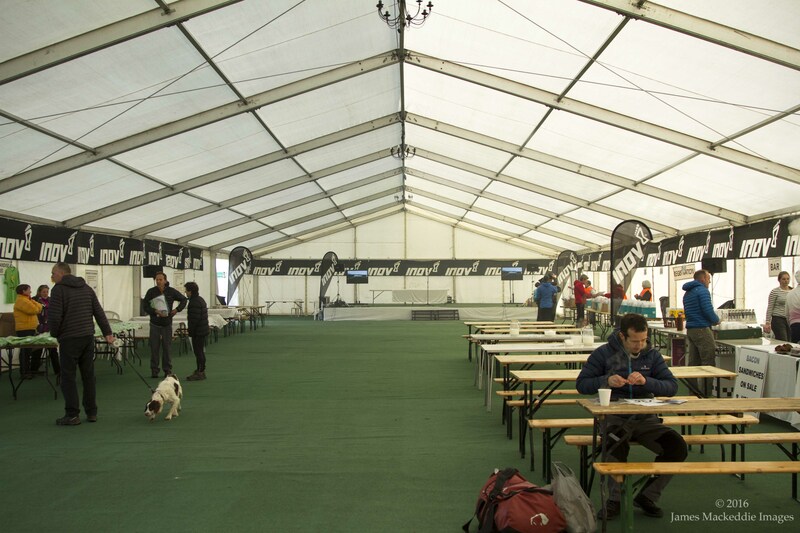 Peace in event HQ as early risers took the opportunity to register and enjoy a brew. 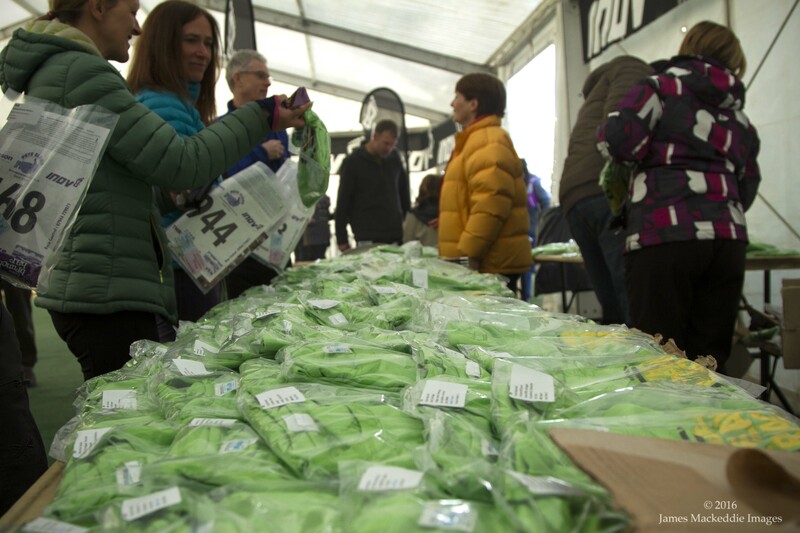 Pete Bland Sports were present with an array of last minute essentials from socks to gloves, waterproofs and nutrition. 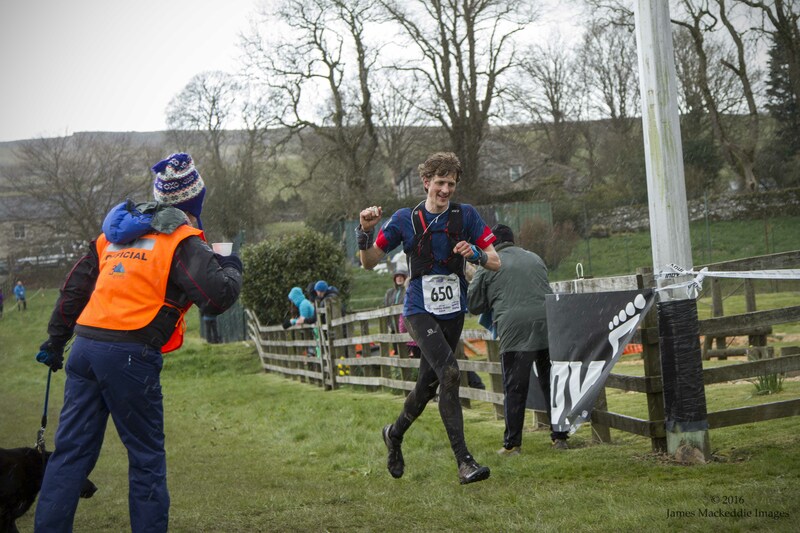 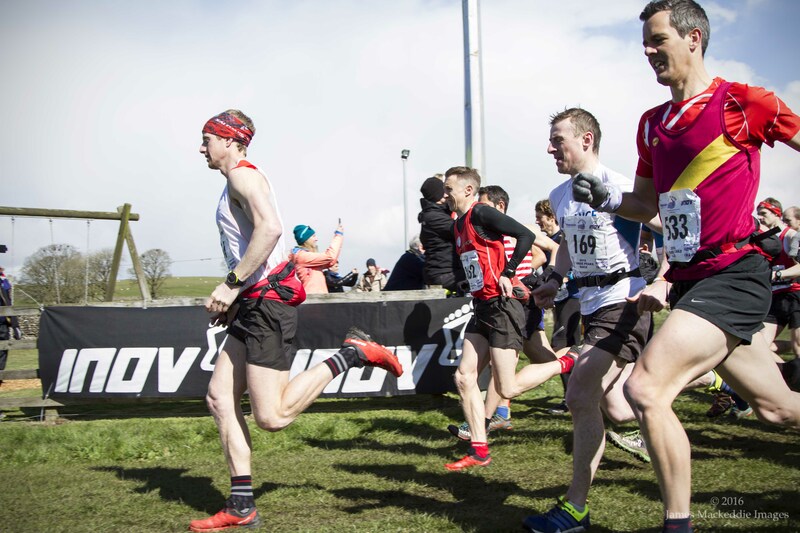 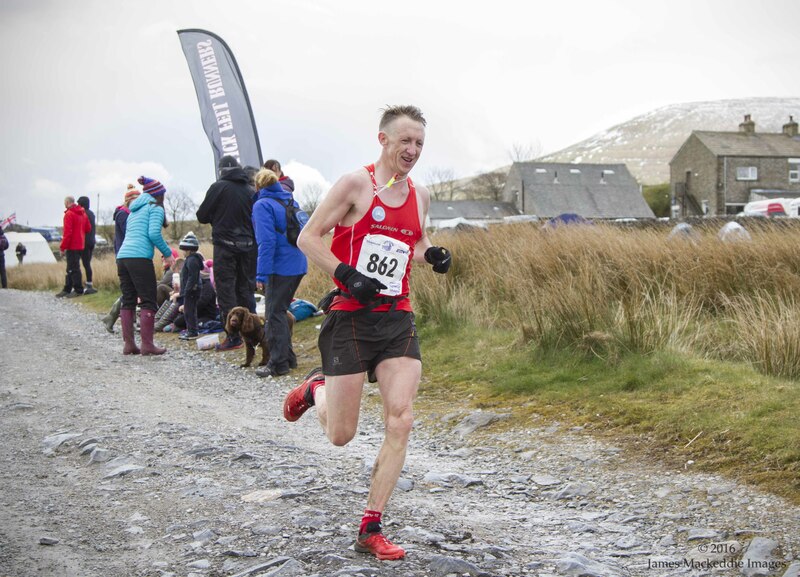 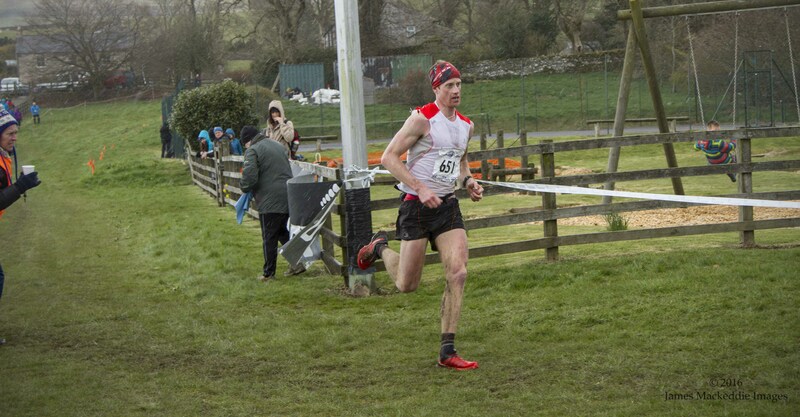 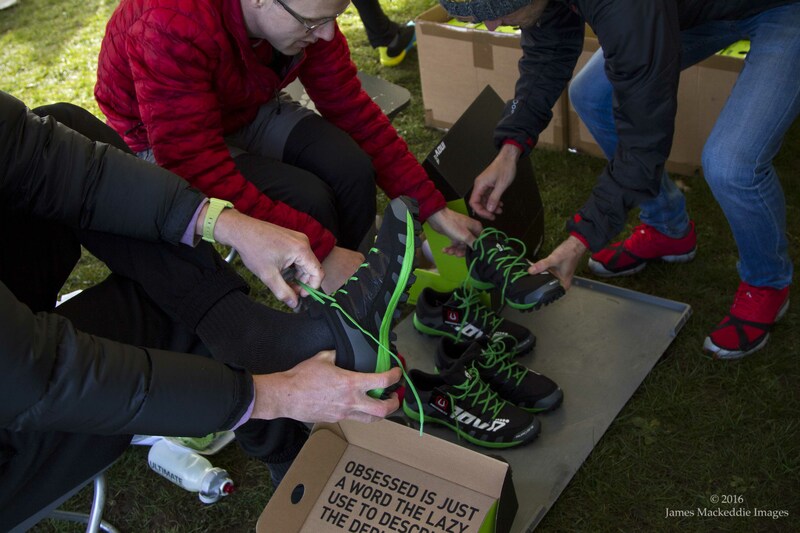 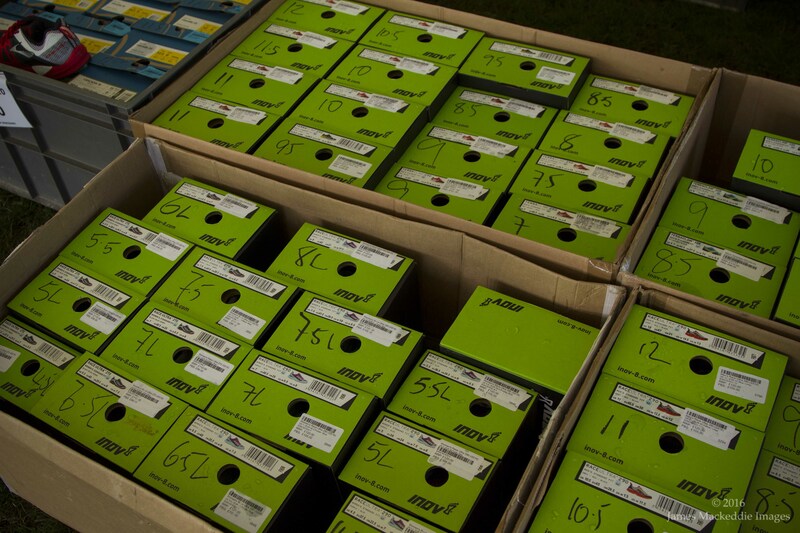 Inov8 were the new sponsor for 2016 and had a diverse and comprehensive range on offer with Pete Bland Sports. 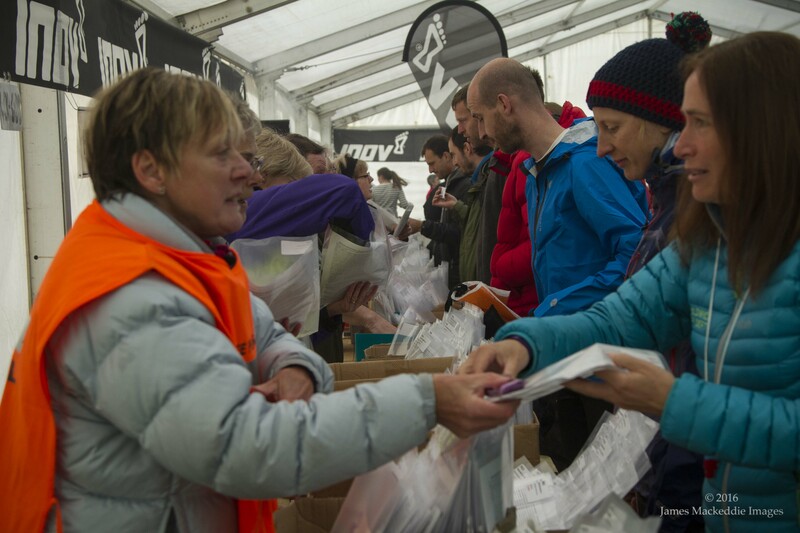 Registration was buzzing as competitors collected their all important race number and Si Entries Card. 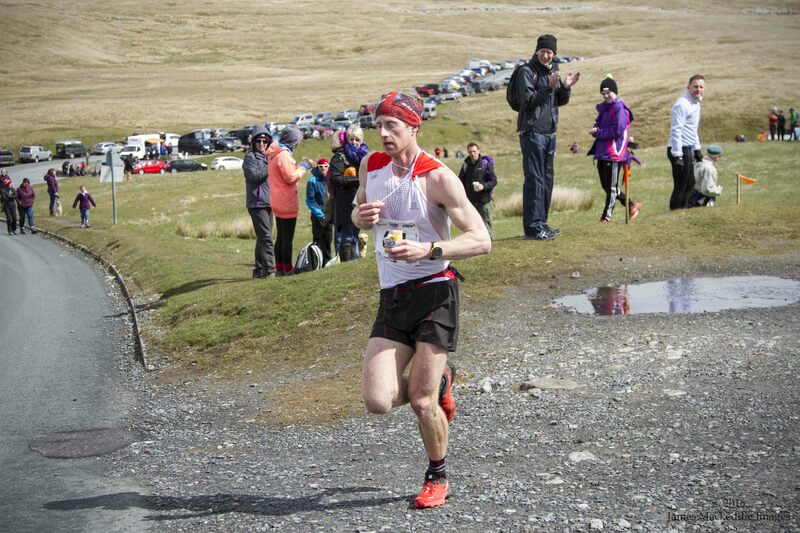 2 drop points gave runners the option to leave bottles and nutrition between the mountains. 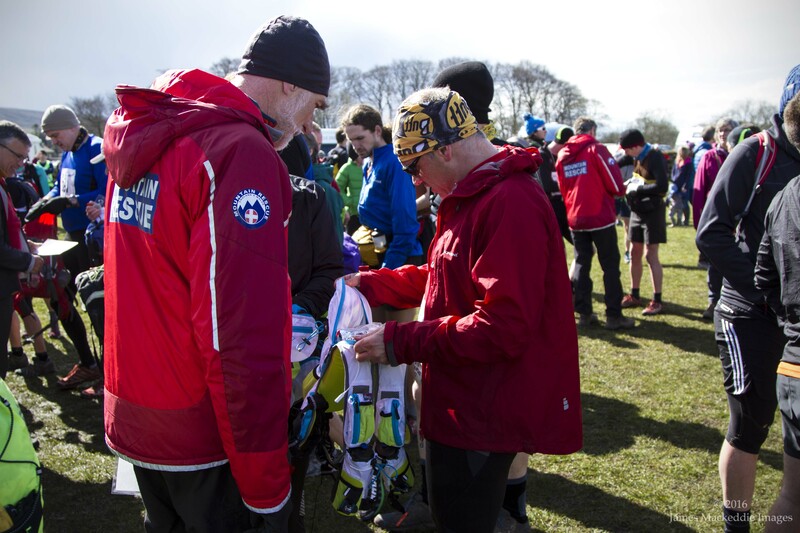 Mountain Rescue Teams conducted the mandatory kit inspections before runners entered the briefing. 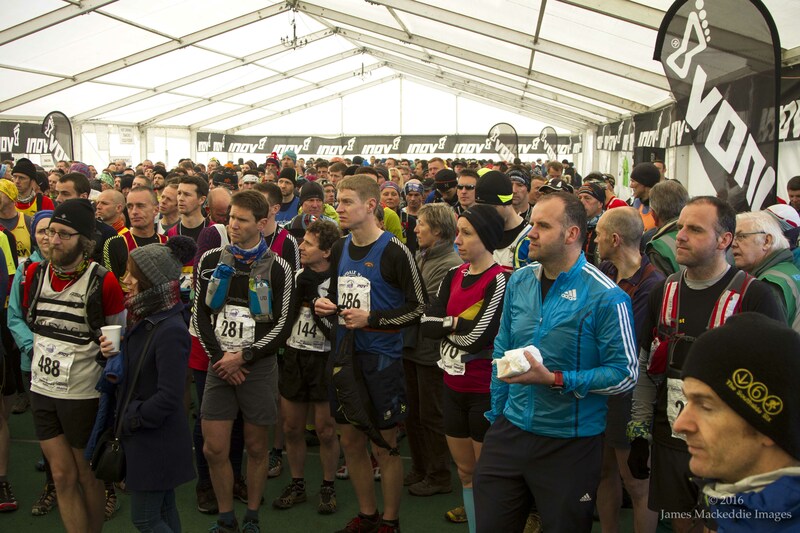 The race briefing set the scene of what was to come before competitors were guided to the starting pen. 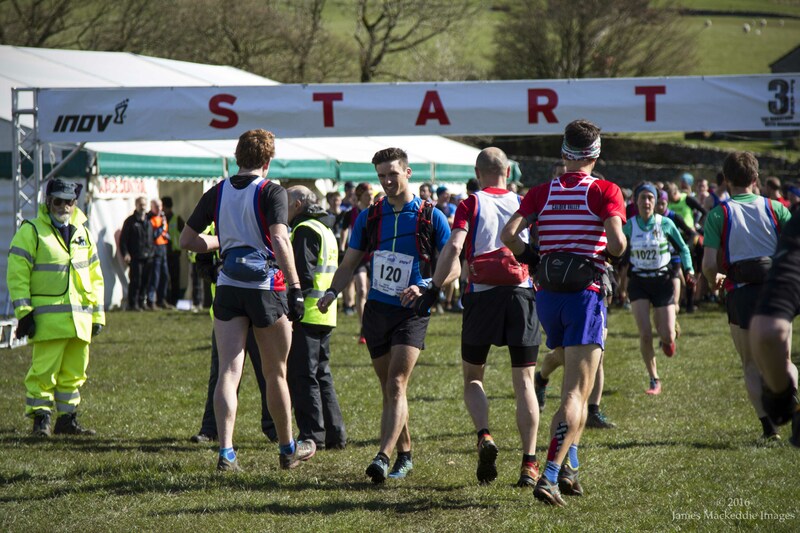 Front runners took the opportunity to stretch their legs before a volley of gunfire signalled the start of the race. 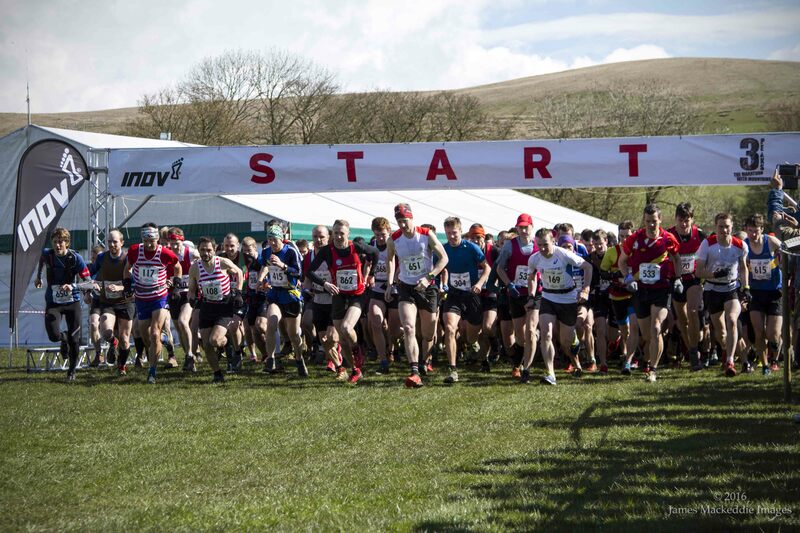 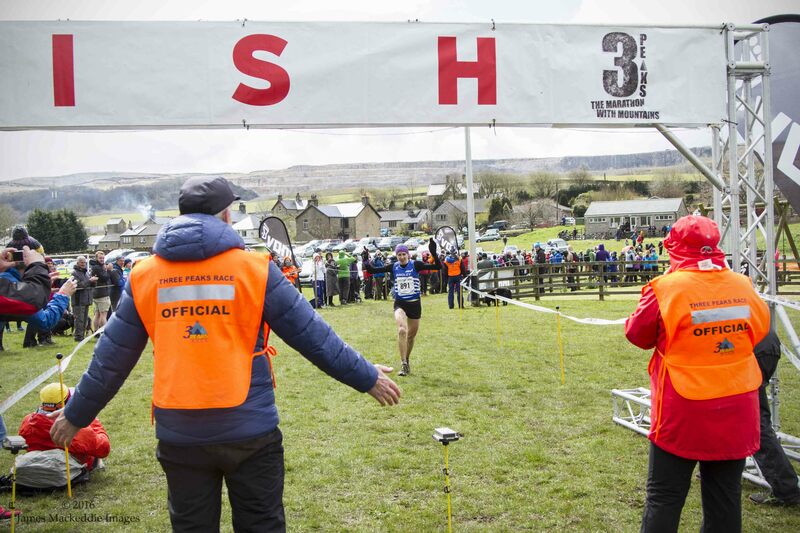 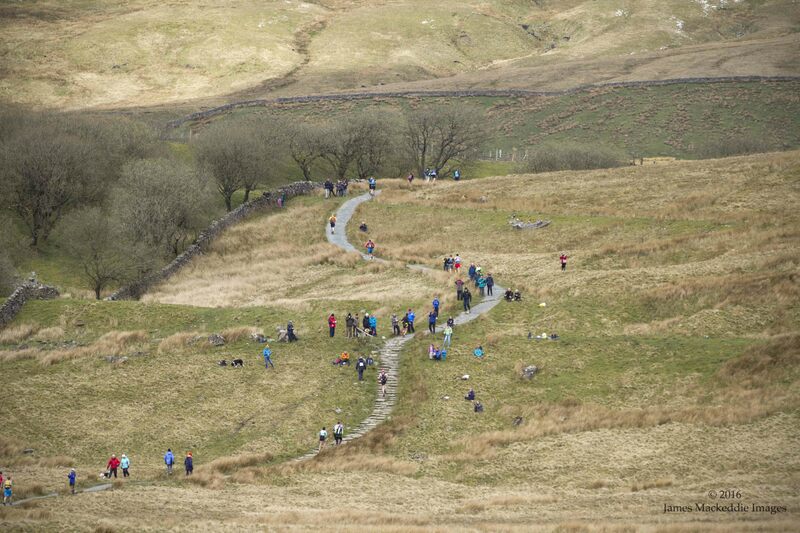 Just shy of 800 runners left the starting field, commencing the climb to Pen-y-Ghent. 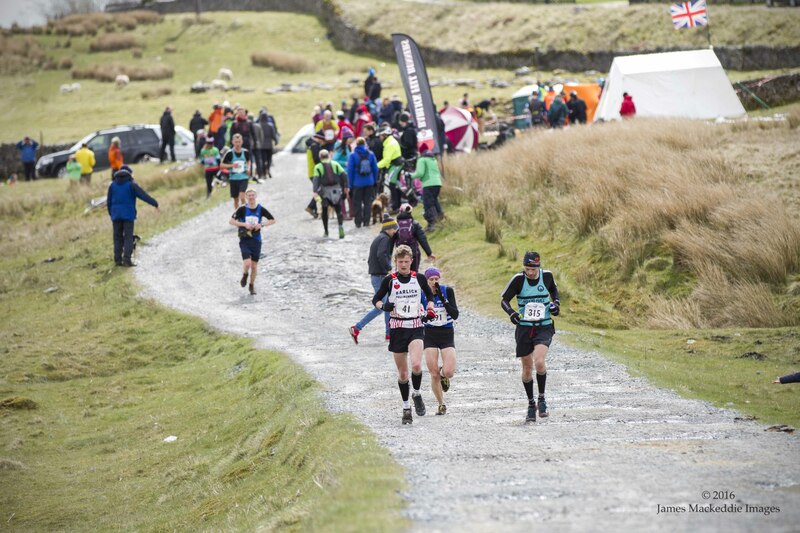 I jumped in with Lee and Adrian from Inov8, who drove me to the Ribblehead Viaduct, the first aid station on course. 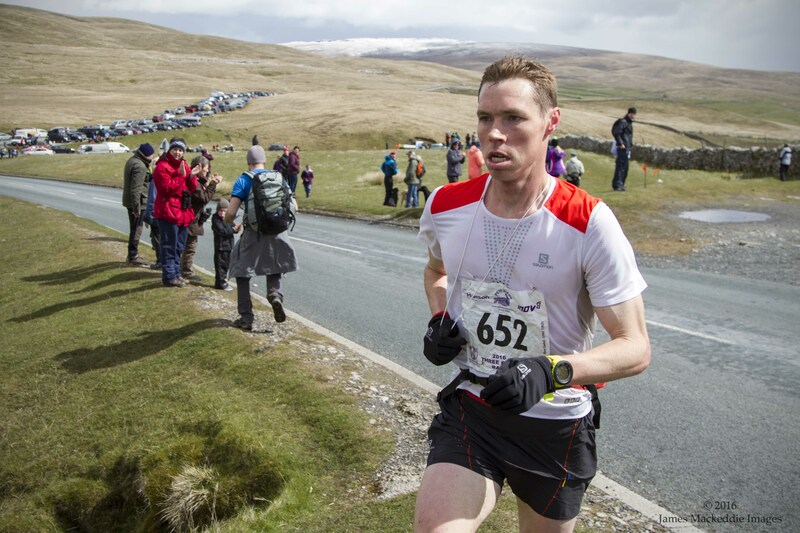 Ricky Lightfoot was first into Ribblehead CP, closely followed by Tom Owens and Marc Lauenstein. 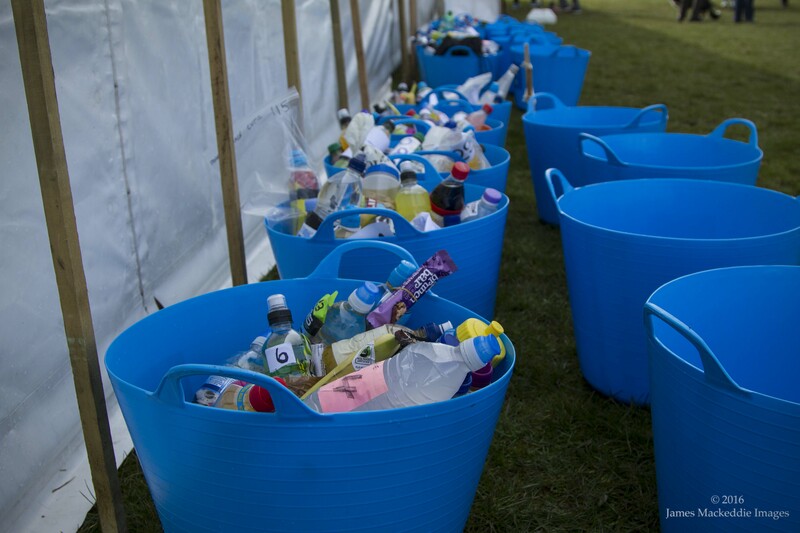 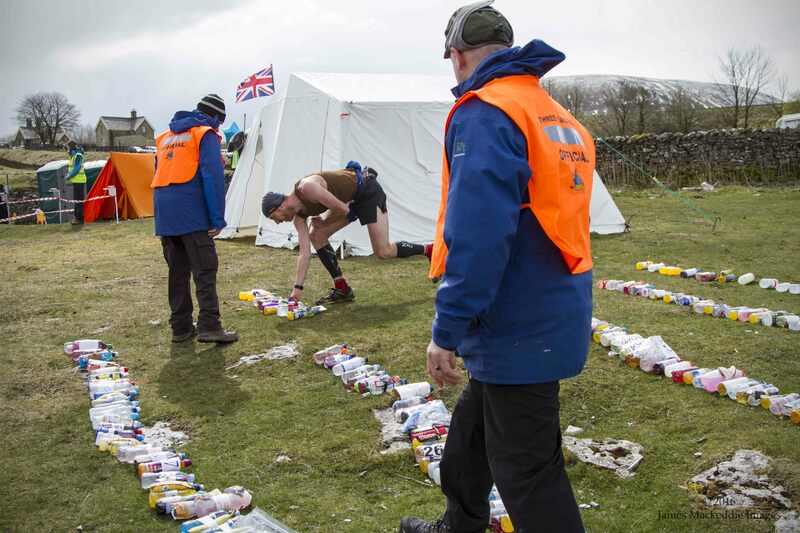 Marshalls laid out competitor supplies in numerical order to aid finding bottles. 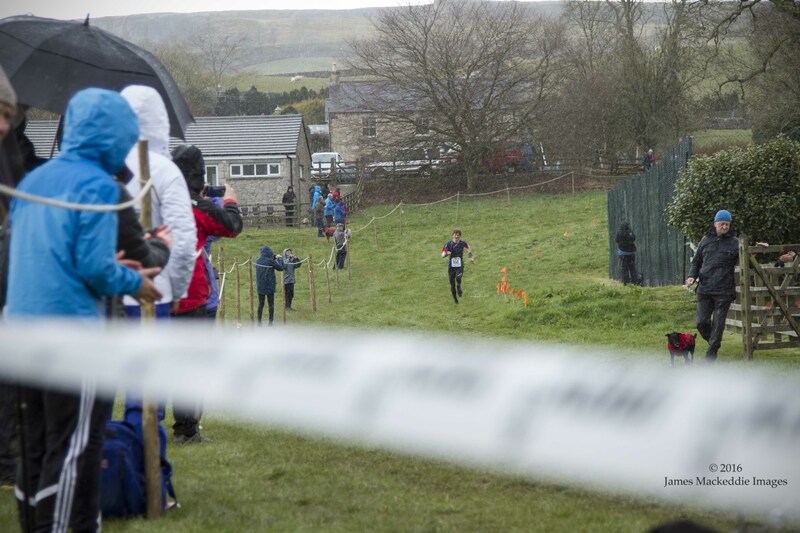 Victoria Wilkinson lead the women’s race, staying high up in the overall standings throughout. 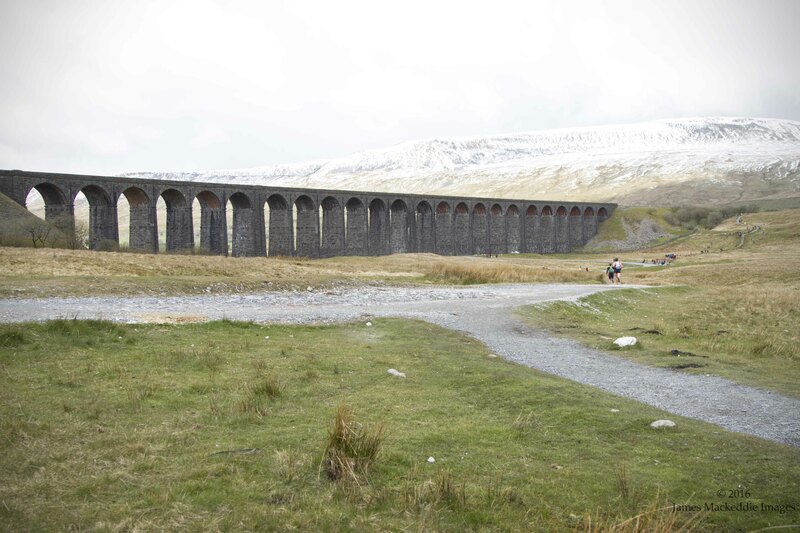 Climbing past the viaduct and onto Whernside. 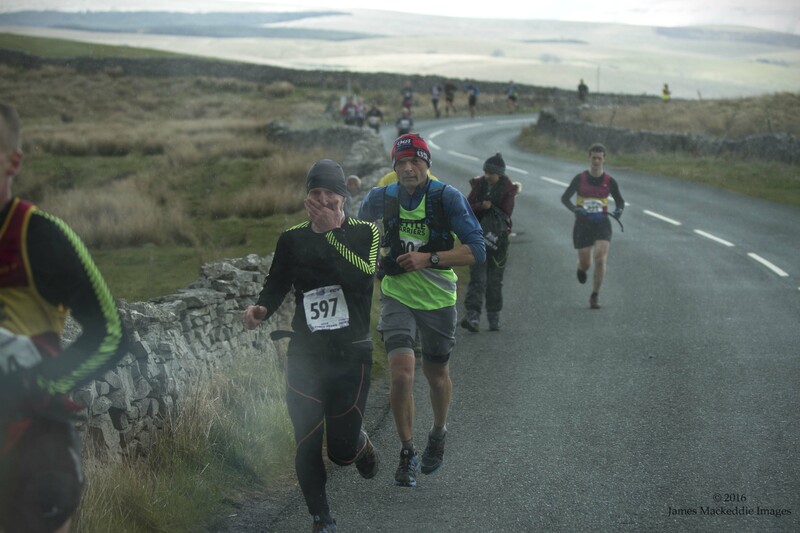 Back on the road, Adrian naviagted, whilst hundreds of competitors made their way on the road section towards Ribblehead. 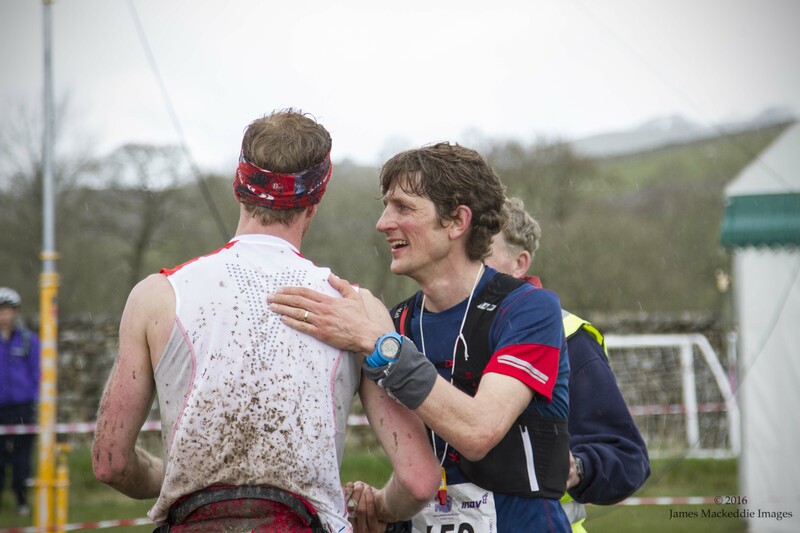 Lee throughout had the window down, offering words of encouragement and clapping runners on. 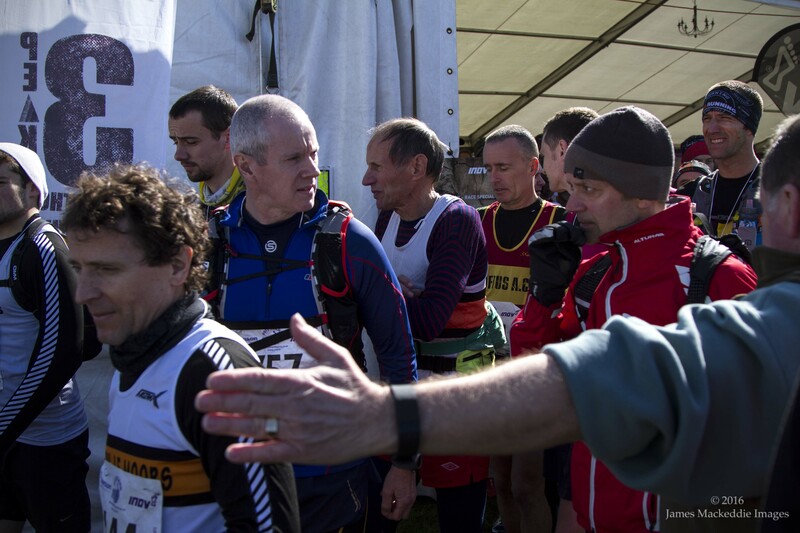 A few thumbs up resulted from those taking part, this show of support boosting morale and energy. 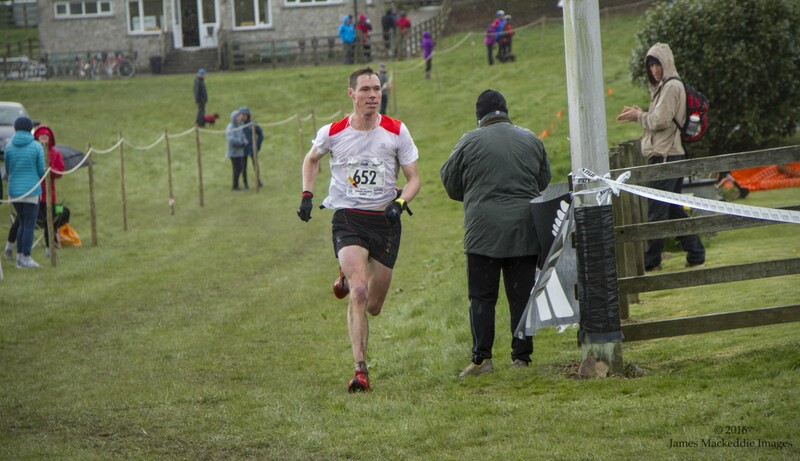 Some 9 seconds behind, Ricky was going full gas, sprinting to the line. 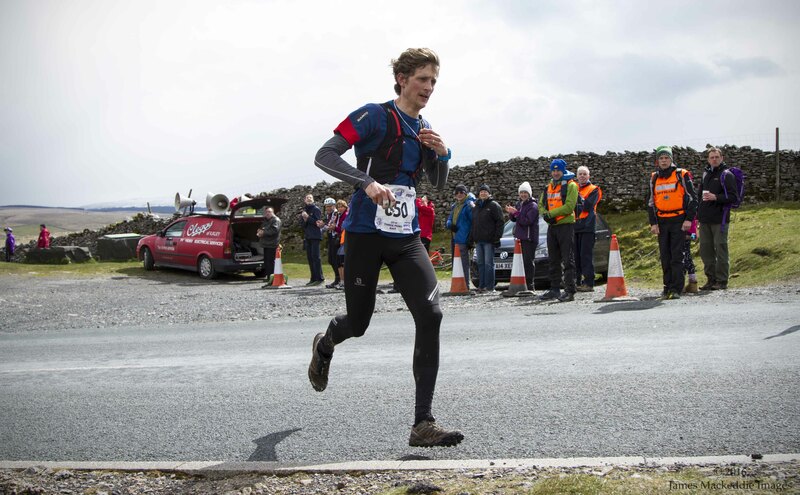 Tom Owens was 3rd home in a time of 2:52:14. 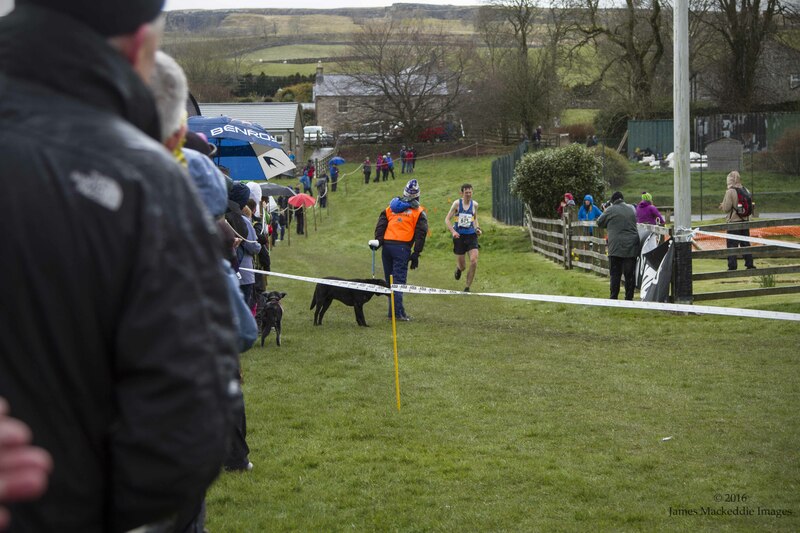 Elite or last man, all had to make sure they dibbed there Si Card throughout to validate their run and record their official time. 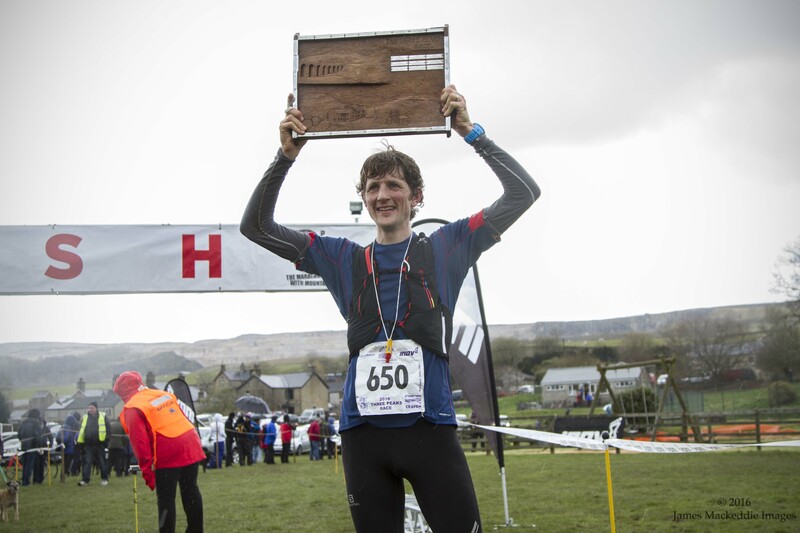 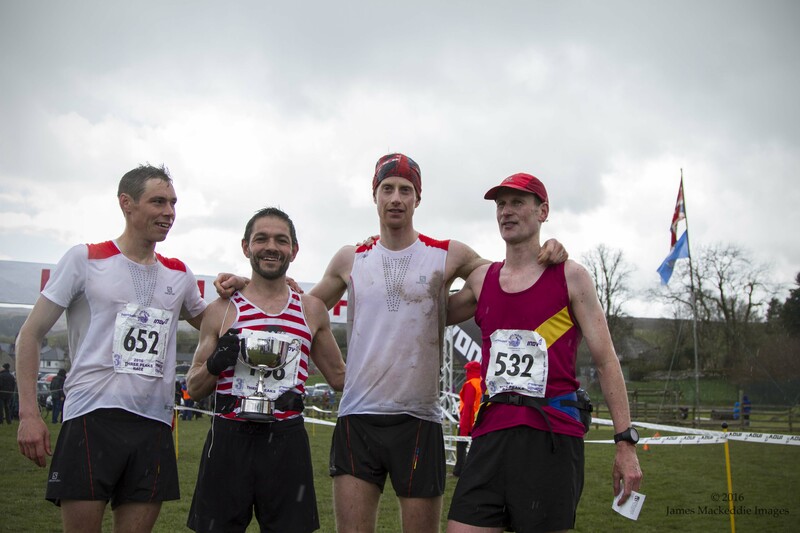 Marc Lauenstein lifts the winners trophy marking his introduction to fell running. 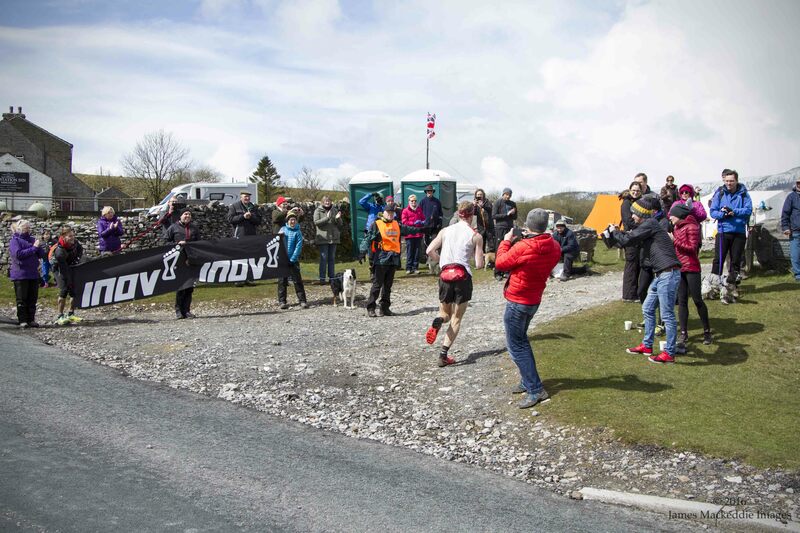 Victoria Wilkinson, arms raised in celebration, won the Women’s race in 3:26:47, taking 35th overall. 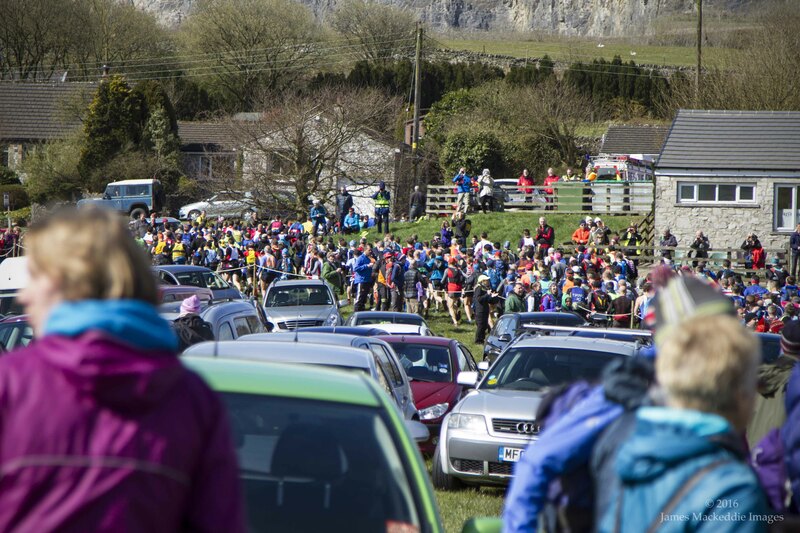 Crowds grew as increasing numbers of competitors entered the finish tunnel. 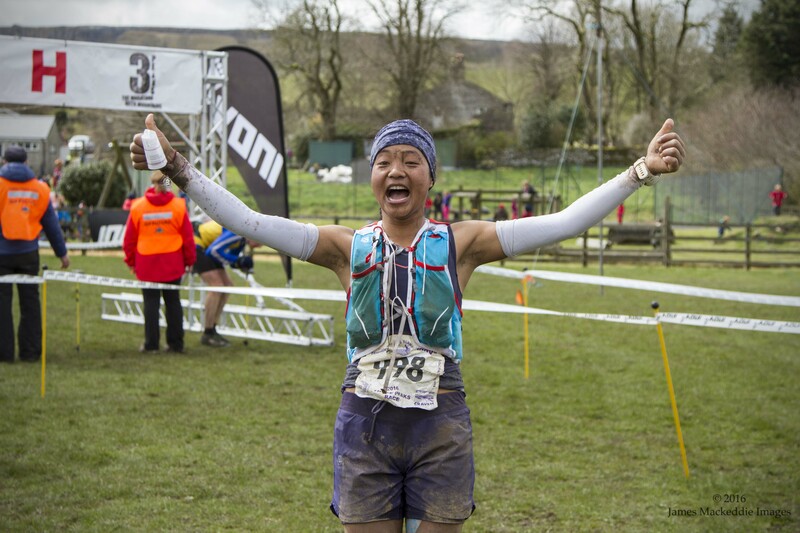 Mira Rai, on tour since Salomon’s Advanced Week took 2nd in 3:35:55, finishing 65th overall. 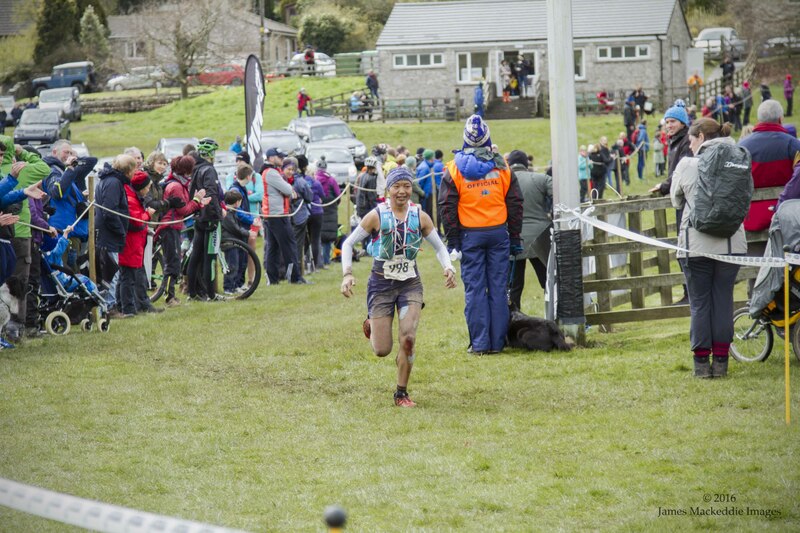 The crowd rawd as she entered the field and celebrations quickly kicked off despite bloodied knees. 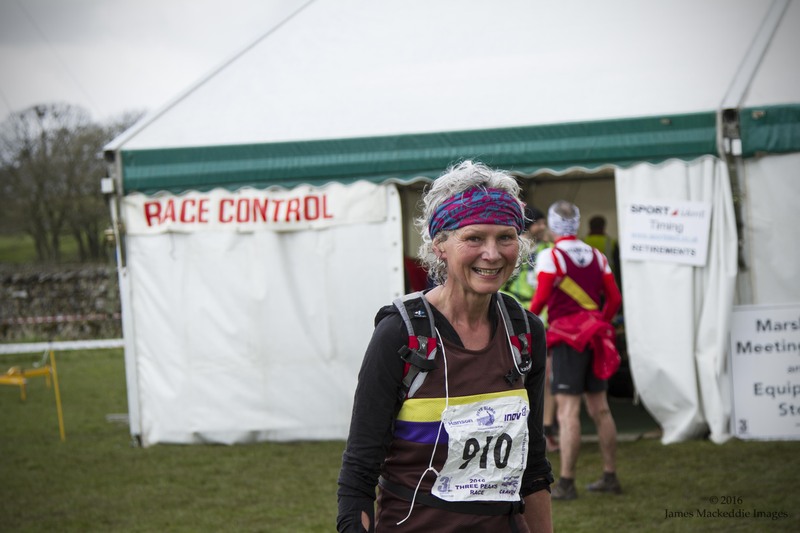 Nicky Spinks had a beaming smile having cracked 4 hours, finishing in 3:55:32. 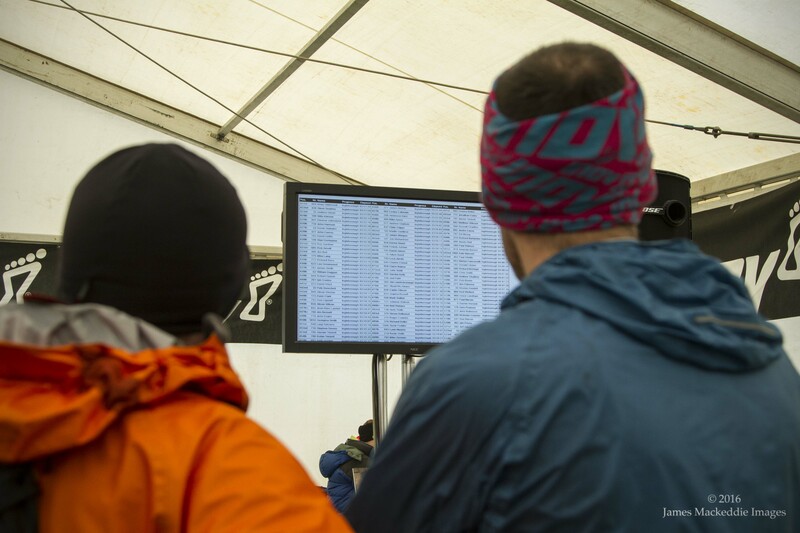 Competitors, families and friends were able to monitor progress from event hq thanks to screens. 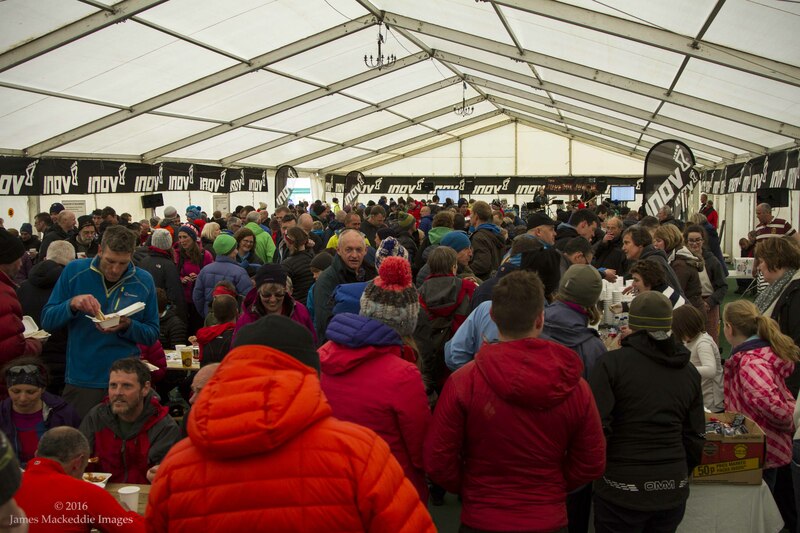 What had been a silent tent was now a hive of activity. 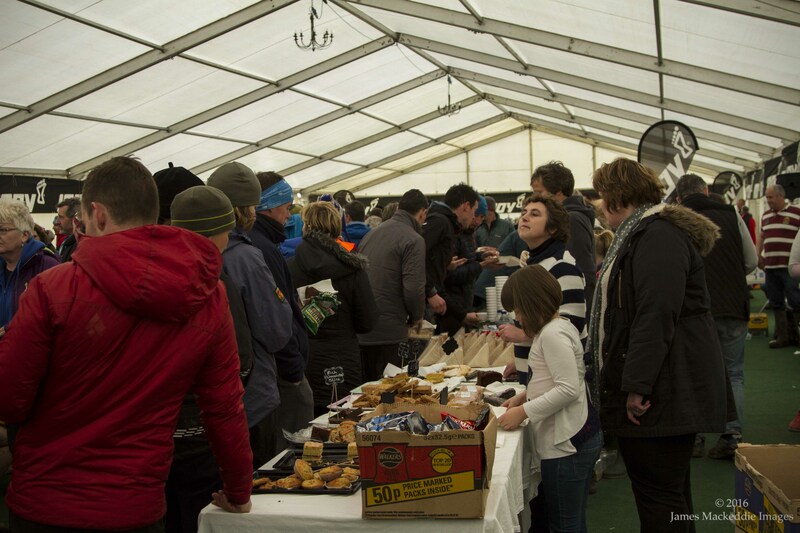 Wainright beers lost their caps, cakes and hot food were served and all racing categories celebrated the days events together. 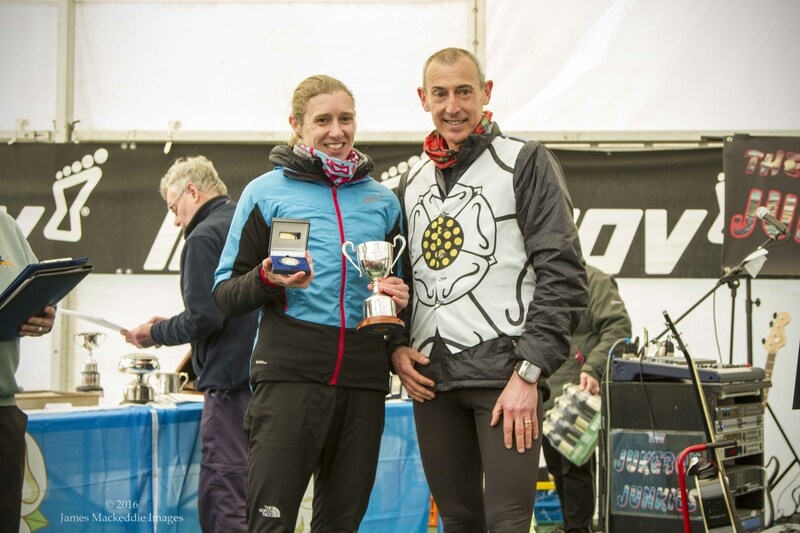 Prize giving was a busy, with overall, age and team prizes to be awarded. 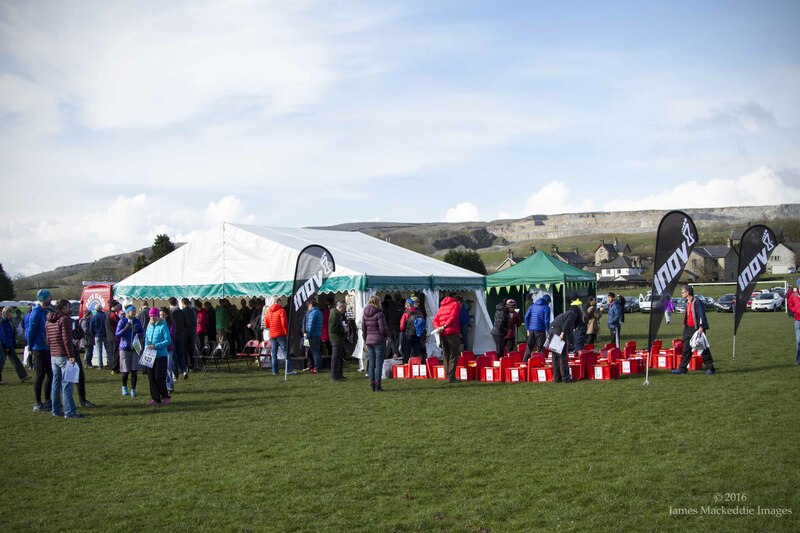 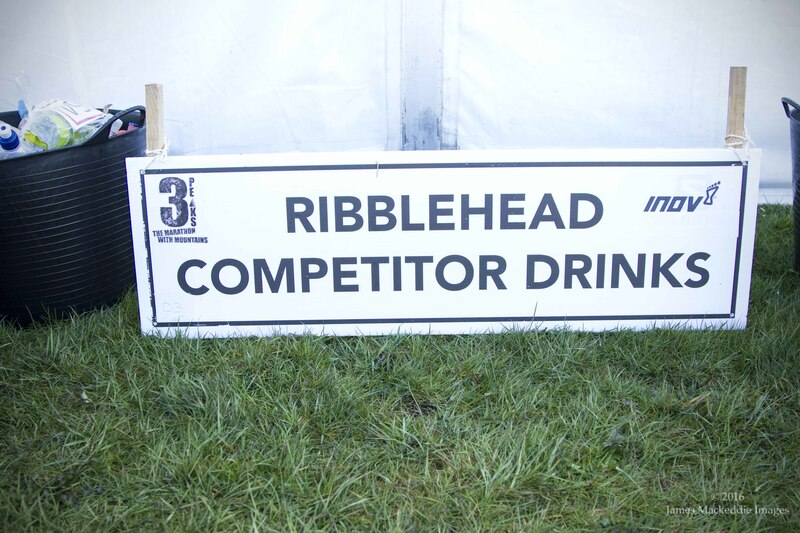 Trophies, beer, chocolate and Inov8 vouchers were handed out, with cheers filling the marquees free space.